2018 Monthly Challenge - January: Snow! This has a fun little story to it lol, it actually started as practicing fur as a warm up before tackling some owed art, but I couldn't get it right and the fur tails I was drawing kept turning out like trees. 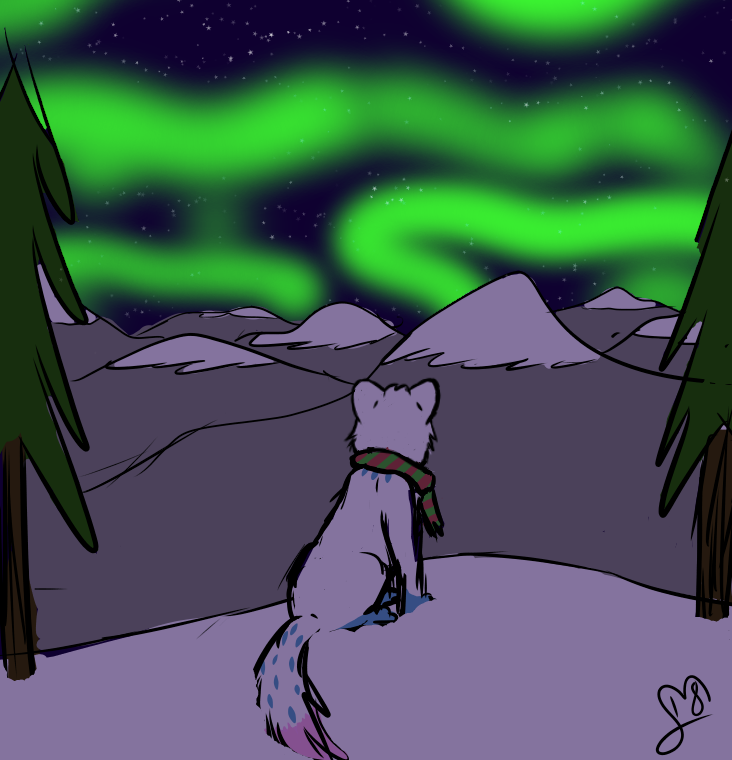 So I drew them as trees, and got inspired to throw on the background mountains, and also decided to throw in Holly looking out over them to add to it. And once that warm up sketch was done, I wanted to go a little further with coloring and ended up with this after less than an hour! Was completely unplanned, and I love how it turned out despite being pretty simple!